Last week, I wrote about Kant’s position on morality, and some of its problems. Kant’s system of ‘deontological’ (duty) ethics still remains arguably one of the two most influential in the field of modern ethics– the other system is utilitarianism. I will briefly summarize the main tenets of Classical Utilitarianism as well as some of its more modern variations. I must also admit that this is not an unbiased post, as I will attempt to present a sort of justification for utilitarianism, as I understand it, as the most logically consistent and practical system of ethics that has been formulated. Though it has certain drawbacks, I hope to demonstrate how utilitarianism is a useful system in many circumstances, and is used by individuals and governments alike to benefit society. Utilitarianism was first clearly articulated by Jeremy Bentham (1748-1832) with ‘the greatest happiness principle’: “It is the greatest happiness of the greatest number that is the measure of right and wrong.” ‘Happiness’ in this case is represented as a predominance of pleasure over pain. It is therefore a ‘hedonistic’ principle, but one that differs with ancient models such as Epicureanism because it deals with the pleasure of the whole society (“the greatest number”) rather than the individual. Bentham proposed a hedonistic (or ‘felicific’ or ‘utility’) calculus by which to classify and test the happiness of a given action. The variables he listed to measure the quantity of pleasure or pain were: intensity, duration, certainty, proximity, productiveness, purity, and extent. 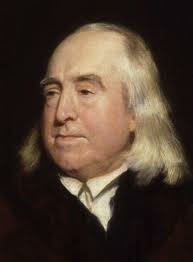 Bentham was more of a social reformer, especially in the area of criminal justice and punishment, than a philosopher. After Bentham, there were still refinements needed in order to strengthen the utilitarian theory. 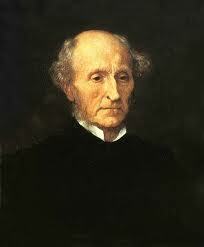 John Stuart Mill (1806-1873) was the most important proponent of the theory. He was raised as something of a child prodigy by his father, who was a strong supporter of Bentham and wanted his son to be a genius intellect for the purpose of defending and implementing utilitarianism. Mill, who also became a member of Parliament, did this successfully, and much more. He was a tireless advocate for women’s rights, basic human rights, free speech, civil liberties, anti-slavery, environmentalism, free markets, and other liberal policies that have gradually been embraced as fundamental to modern progressive societies. In his book Utilitarianism, he makes one major change to Bentham’s theory: he argues that the ‘quality’ of pleasures is a more important criterion of precedence than mere ‘quantity’. Bentham rigorously states that an equal quantity of pleasure derived from push-pin (a children’s game) and poetry were equally good. Mill argues that intellectual and moral pleasure have higher value than merely physical pleasures. He goes so far as to say that “it is better to be a human being dissatisfied than a pig satisfied; better to be Socrates dissatisfied than a fool satisfied.” Following from this, Mill asserted that university graduates should have more voting power because they are in a better position to judge what is best for society. This is not to say that Mill did not place any value on the uneducated; to the contrary, he advocated universal education reforms and sending the talented but poor to universities as a way to improve the happiness of the greatest number (which would improve society as a whole, as well). There have been many variations of the theory, both in its content and its applicability, and it would be time-consuming to attempt to do justice to them all. One minor distinction is between ‘act utilitarianism’ and ‘rule utilitarianism’. The former, favored by Bentham, states that we must first consider the circumstances of each situation to determine which likely consequence will produce the greatest pleasure. For example, a paramedic at the site of a car accident would probably decide to treat a pregnant woman before anyone else, since her and her unborn child represent the greatest possible future happiness. The latter, favored by Mill, states that there are certain general rules that tend to increase happiness if followed (or decrease happiness if broken). For example, it is against the rules to kill another person, but in the case of self-defense against aggressive attackers, the rule changes. It is probably best to use ‘rules of thumb’ as a way of saving time when decided more routine matters; these rules can be modified in more difficult questions to calculate likely consequences. Another conflict arises between ‘total utilitarianism’ and ‘average utilitarianism’. That is, should the amount of happiness of a population be measured as a total figure or as an average. In this case, issues that could arise would be the relative worth of a small, but very happy population, versus a very large population with low relative happiness, but a greater overall amount of happiness. Some philosophers have argued that the measure of ‘utility’ itself should not necessarily be pleasure (or avoidance of pain). Other possibilities proposed include: it is the ‘intent’ or ‘motive’, rather than the consequences, that is good; it is the ‘interests’, rather than the pleasure, that is good (this has been called ‘welfare utilitarianism’); the nuanced opinion that it is only the ‘preferences’ of a person that should be satisfied (which takes into account rejection of pleasure or desire for pain). It is important to note that utilitarian calculus is most often used to decide what is most ‘right’, not necessarily what is most ‘good’. In this way, it is generally a system of practical ethics to guide decisions about future possible outcomes, rather than a belief in any necessary absolute morality of an act. One criticism of the theory by Karl Marx is that it not actual a theory at all and adds nothing meaningful, since it is inherently true by definition. He was more concerned with the different conceptions of what is ‘good’ for different people in different circumstances (which led him to describe his views of how capitalism suppressed the best possible outcome for most people). It is likely that there is something inherent about utilitarianism that has been used since the time of the earliest humans in order to build and maintain orderly and cooperative groups, which helped to ensure their collective survival. Likewise, utilitarianism is implicitly used at all levels of political bodies to decide the best future courses of action for the welfare of the greatest number. We all use some form of utilitarianism in our everyday lives, as well as when we must make big decisions. We automatically consider the pros and cons of a decision to weigh the greatest utility to be derived from the most likely possible outcomes, even if that outcome is in a more distant future (say, choosing to go into debt with student loans for a university degree in order to achieve more potential future happiness). As a society, we choose officials who are tasked (ostensibly) to make legislation and take actions that maximize the greatest good for the greatest number of citizens. We all know that it does not exactly work so smoothly in reality, but it is the stated purpose and goal nevertheless. The benefits of utilitarianism are derived from its reliance, not on any absolute conception of morality (which is, in addition, only a matter of opinion and subject to change), but on rational and logical consistency in order to help us make practical ethical decisions. It treats everyone equally, not under the impossible ‘ends principle’ Kant proposes, but as a person with rights to happiness all the same. The proper use of utilitarian can ultimately lead to a more just, as well as a happier, society. I have intentionally not given many examples of various practical applications. This is first of all in the name of brevity. But mostly, I would like to reserve specific examples from each different issue for individual future discussions here, so that they can be treated in slightly more depth. I am also aware of several criticisms to the utilitarian theory, but I have not yet seen anything that convincingly weakens the overall premise, in my opinion. In addition, I have not found any alternatives to utilitarianism that represent a more logically consistent ethical solution. This chapter is not closed, and I hope to work through the issue in more specifics way in future posts. I find Kant’s deontological approach perhaps unnecessary because it relies so heavily on his analytic/synthetic distinction. W.V.O Quine has a response to Kant that argues that this distinction rests upon a logical fallacy. To take liberties, Kant (enlightenment thinker that he is) breaks rationalist metaphysics’ reliance upon transcendent objects as objects of possible knowledge (and for many believers, God’s existence as a source of moral law) and lays a new ground that leads back to Hume’s empiricism and the problem of induction. He’s still looking at the stars, trying to make room for faith and free will, and possibly even a believer (Newton perhaps was as well, and Kant stayed abreast of the science of his day), but the old arguments for God are much more difficult to defend, and the moral law now hangs upon his vast metaphysical structure (and the circular logic you note). Just grim duty and the categorical imperative…regardless of circumstance? As for Bentham and Mill, I find utilitarianism attractive and important, but it runs into problems. It’s the abstraction from happiness and unquantifiable nature of happiness that worries me in the hands of actual people in charge (often self-serving, nepotistic, favoritistic, office seeking, constantly required to rise above what I believe to be human nature and the rewards of power including corruption). “We are maximizing happiness for the greatest number” they might say, “our happiness is no more important that yours, fellow citizen” and behind the scenes…well. That is where the legitimacy of such ideas are truly tested, and a constant source of moral restraint is required. A belief in God is one source for such restraint, a moral law another, military duty another, loyalty to family might help. Back to Plato we might go, for some answers, perhaps to Kant, perhaps to Mill. I think we agree on the unwieldiness of Kant’s position in real-life (unless, as I noted, everyone were exactly like Kant himself). I find utilitarianism an immensely more practical system of ethics. However, as you note, its strength will become a weakness the moment the decision is made by a corrupt politician. This would actually change the system itself from being “the greatest happiness for the greatest number” to “the greatest happiness for a select number”. That is not utilitarianism. So obviously the concern is not with the logic of the system itself, but how the decision will be made. This is a big problem because humans are still generally selfish and tribal animals. I think the solution lies more in the realm of public policy and the nature of a society’s social contract more than the theory of utilitarianism. If we agree to abide by utilitarian principles, we only have to ensure that it is fairly maintained. So, in my opinion, the biggest challenge is political rather than philosophical. I’m not so sure about your last point about moral restraints. This seems to be a somewhat Kantian notion, and unnecessary to utilitarianism. Maybe I just envision the ‘moral restraint’ in one situation becoming a ‘moral excuse’ or even a ‘moral inducement’ to do something that would not otherwise be considered ‘moral’. I suppose I am mostly arguing for adherence to a system of practical ethics that does not have to rely on any nebulous concept of morality (which would never be agreed on by everyone in any case). To me, utilitarianism answers that question better than anything else I have seen, including anything in the ancients (Plato and Aristotle). To be logically consistent doesn’t it have to be always logical? And to be moral shouldn’t it also be supported by empirical evidence and logically consistent? So the greatest amount of happiness for the greatest amount of people. Well, that’s everyone being very very happy all the time. But some people’s happiness directly interferes with other people’s happiness, and my happiness now sometimes interferes with my happiness later. So happiness as a moral virtue by definition can not be universally experienced by everybody all the time. Saying that we should try to achieve the most happiness for the most number of people isn’t logically constistent, because “the most” is all of it, for everyone all of the time, which is not a possible attribute of happiness. If we can’t achieve the greatest amount of a moral virtue, shouldn’t we change said moral virtue? Utilitarian fails because of happiness, and you can change the definition and add layers and qualifiers but eventually, to be logically consistent, you’re not talking about happiness anymore. Replace happiness with voluntary action and bam, you’ve got yourself a universally preferable behaviour supported by empirical evidence that happens to also be logically consistent.